With so much technology being used these days, it is good to get away from it all and get back to nature. Taking the kids camping is a great way to unwind and relax and spend quality time together as a family. 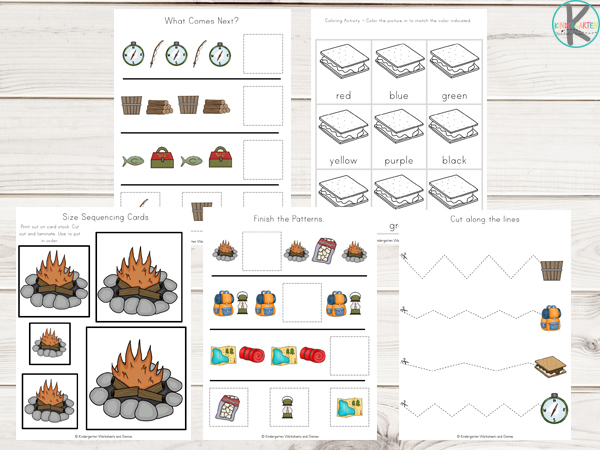 These camping worksheets will encourage children to put down their electronics and go outside and get back to having fun outdoors. 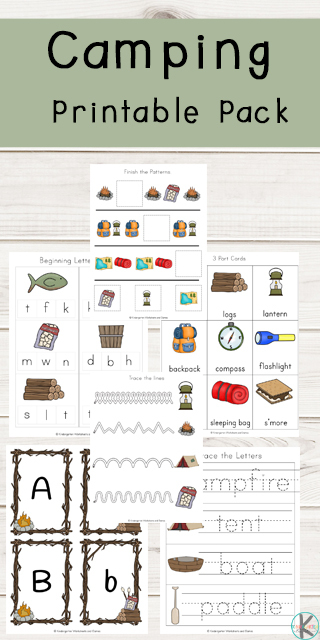 You can see all our other kindergarten worksheets and activities for Kindergarten Themes. Trace the Numbers –Trace the numbers from one to twenty. Counting Cards – Cut out, laminate and use a peg or paperclip to clip or place a pompomor candy onto the correct answer. Addition Cards – Cut out, laminate and use a peg or paperclip to clip or place a pompomor candy onto the correct answer. 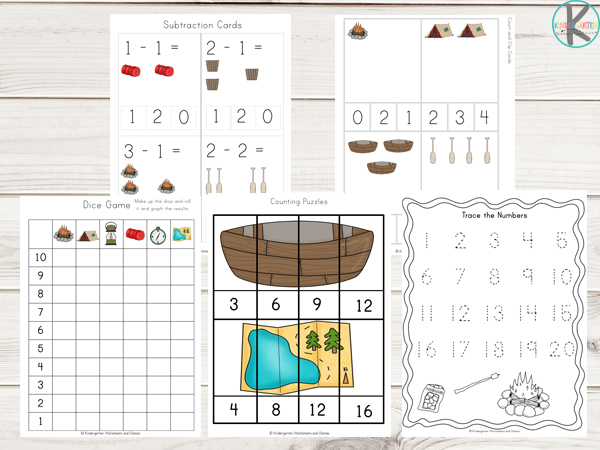 Subtraction Cards – Cut out, laminate and use a peg or paperclip to clip or place a pompomor candy onto the correct answer. Coloring Pages –Color or decorate the pages. 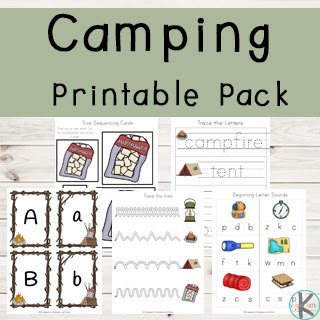 Many of the activities such as the count and clip cards, shadow and color matching cards and size sequencing cards could all be printed out and laminated before being placed into zip lock bags with a couple of pegs or paperclips. 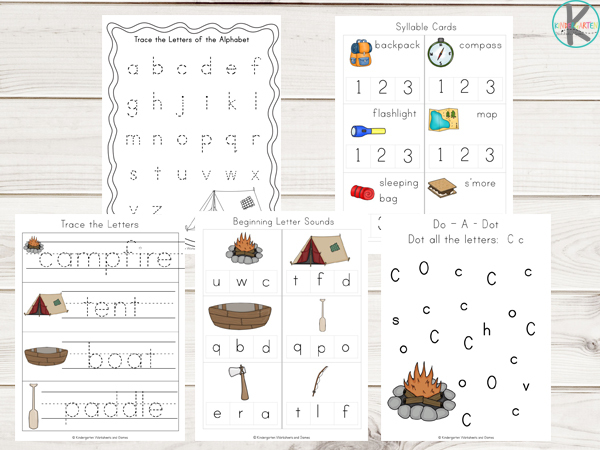 These can then be taken with you on your camping adventures and used on rainy days or for indoor play.